PURPA: A Quiet Death or Longer Life After 40 Years of Wholesale Electricity Competition? This article was originally published in Greentech Media on September 18th, 2017. 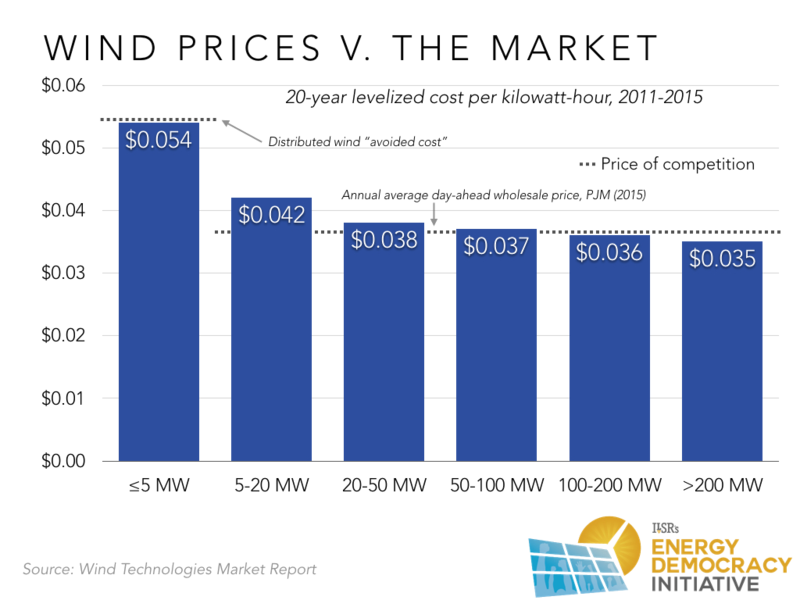 In the first week of September, a U.S. House Energy and Commerce subcommittee held hearings questioning a 40-year-old law that forms the bedrock of competition in the electricity market. Before the law took effect, electric utilities had a complete monopoly over electricity generation. In 1978, after some spectacular cost overruns by incumbent utilities, the passage of Public Utility Regulatory Policies Act (PURPA) introduced competition. Is a law passed in the era of shag carpeting and monster sideburns just as unfashionable in 2017? If the list of testifiers was representative of utility customer interests, you might think so. But electricity markets are no less in need of competition in 2017 than they were in 1978. In fact, customers may pay a big price without it. 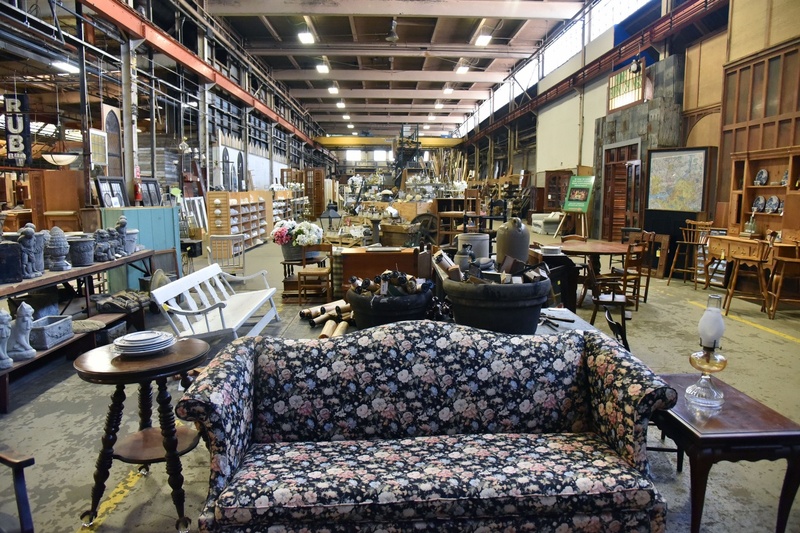 There’s much more detail in the Institute for Local Self-Reliance’s recent overview of PURPA, but the law’s basic concept is that utilities must buy power from renewable energy sources or “co-generation” facilities (that produce both electricity and heat for sale) if it’s competitive with their own supplies. Think of it as the utility planning to buy a burger and fries for $5.00. If someone else can offer the utility the same lunch for less, then PURPA requires that they buy it, because it saves everyone money. PURPA was designed to avoid utility cost overruns, particularly at nuclear power plants, if they built too much at too big a scale. It targeted market opportunities for medium-scale power generation — projects 80 megawatts or smaller (most full-scale power plants are 500 megawatts or more). In the 1990s, Congress passed additional legislation to open the transmission system, allowing non-utilities to build power plants and sell that power elsewhere. Further changes created regional “balancing” markets run by independent system operators that allow for even more robust competition. A map of existing operators is shown below. 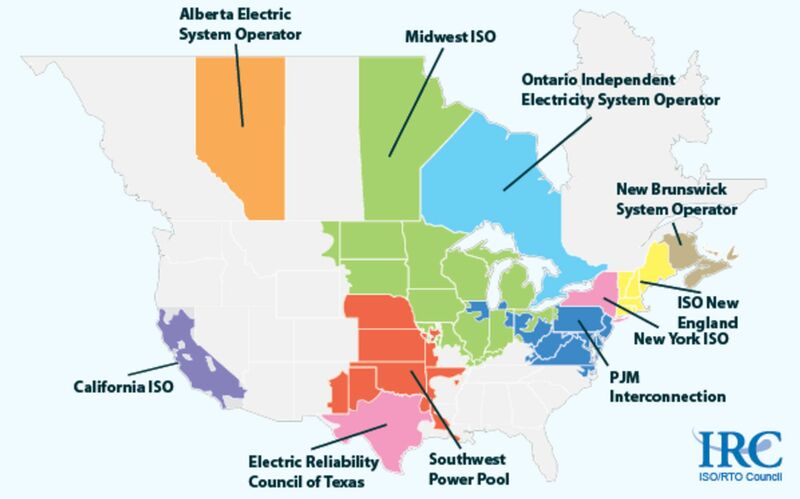 In these more competitive regions, PURPA only applies to projects 20 megawatts and smaller, under the theory that larger developers have market access. Smaller projects still need PURPA because the overhead costs of entering the market are prohibitive for the smallest power generators. In either event, the competitive market or the limitations of PURPA (to buy only cost-competitive power) protects customers. There’s no question that 40-year-old laws should be measured against changing market conditions. But to hear utilities talk, competition itself has gone out of vogue. Of the several critiques leveled at PURPA during the hearings, none undermined the fundamental advantage of the law: It requires utilities to procure cost-effective resources. This is important, because diversity of market participants is a key element of distributing the economic rewards of renewable energy development. It’s also important because the size limitations of PURPA (80 megawatts in states with vertically integrated monopolies and 20 megawatts in states with competitive markets) is sufficient to capture most of the economies of scale in wind and solar production, as the Institute for Local Self-Reliance reported in 2016. 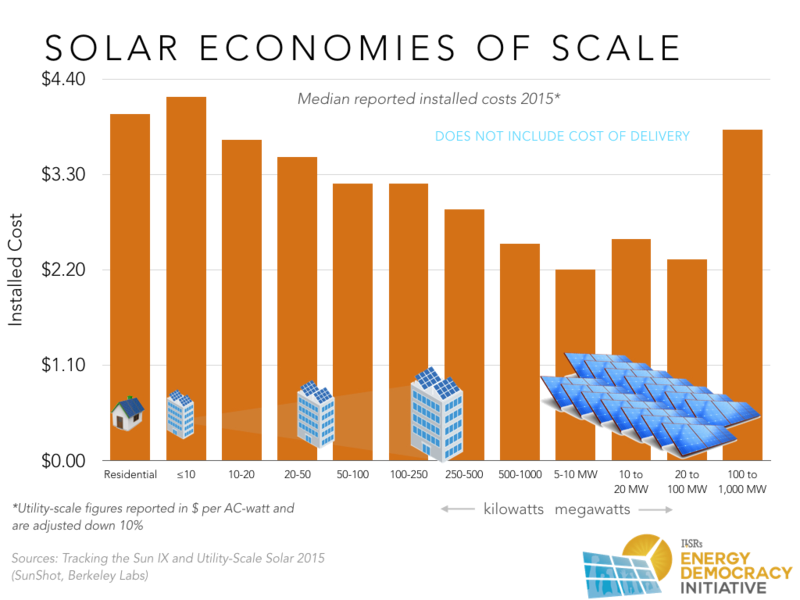 The following chart shows the economies of scale in solar energy generation, with projects near 20 megawatts hitting a sweet spot between the cost of project construction and the cost of transmission access (the latter is key for the largest projects). In wind power, economies of scale don’t reverse at larger project sizes, but they certainly shrink, with the largest projects only 10-15 percent cheaper per kilowatt-hour. In other words, ensuring that “qualifying facilities” under PURPA stay within size limits seems entirely reasonable. Testifiers in the subcommittee hearing also noted that splitting up projects could allow them to interconnect on the lower-voltage distribution lines serving communities, rather than the high-powered ones used for long-distance transmission. Instead of treating this as a problem, Congress, the Federal Energy Regulatory Commission, and state regulators should look at the opportunity. First, when projects interconnect on the distribution system, they may be able to avoid the cost of new transmission infrastructure, as well as utilize existing capacity on the distribution system to provide local power for local loads. With its focus on wholesale power, PURPA — as implemented today — has sidestepped the opportunity to allow for competition closer to the retail level. 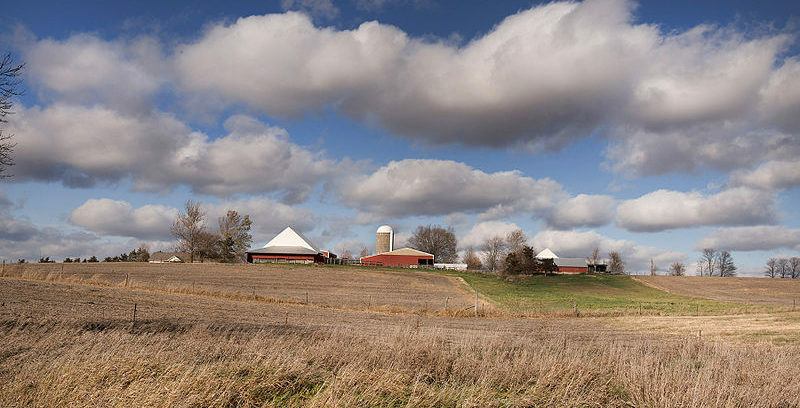 This issue has come up recently in Minnesota, where a developer proposed a 5-megawatt “wind-solar hybrid” with two wind turbines and a solar array, which can plug into open capacity near a utility substation (the connection point between the transmission and distribution systems). The project would struggle to compete on price with a several-hundred-megawatt wind project, but it offers some unique values. One is that it avoids transmission costs, as shown in the graphic below (and in the slideshow version of this post). A second advantage is that the power provided from a wind-solar hybrid (or even from a solar project versus a wind project) may uniquely benefit utility customers by providing more power during times of peak energy use. In Minnesota, these relative advantages are measured for rooftop solar through a “value of solar” methodology. Federal lawmakers and regulators, as well as state public utility commissions, should start asking what components of the avoided-cost calculation may be missing from the existing calculus, and how they may offer further customer savings by favoring projects with particular characteristics. Storage, for example, could be another valuable element that provides peak power or grid support services. While location and peak capacity are key components of any methodology for calculating avoided cost (the lunch price, if you will), the other central element is contract term. A PURPA rule rewrite in Michigan recently concluded that contract terms of less than 15 years are inadequate, because projects simply cannot secure financing and come to market with short contracts. The Idaho commissioner testifying at the House hearing knows this full well, since that state responded to an upswell in developer interest not by addressing the issue of project splitting, but instead by shortening PURPA contracts to just two years (from 20). The move choked off development. If the only tool that state commissions have is a hammer (contract length), then all the problems (fair pricing, project size, project interconnection point) will look like nails. The House hearing echoed complaints from utilities in several states that share one common feature: lots of recent renewable energy development due to high utility avoided costs. North Carolina, for example, saw over 2,000 megawatts of solar development when Duke Energy had high-cost power and the state enforced a long-term purchase contract. But the explosion of solar meant a better priced “meal” for the state’s electricity customers, much like how Xcel Energy CEO keeps saying that wind power is the cheapest electricity resource in many parts of the country. It’s crucial to understand that utilities are not disinterested parties to this discussion. 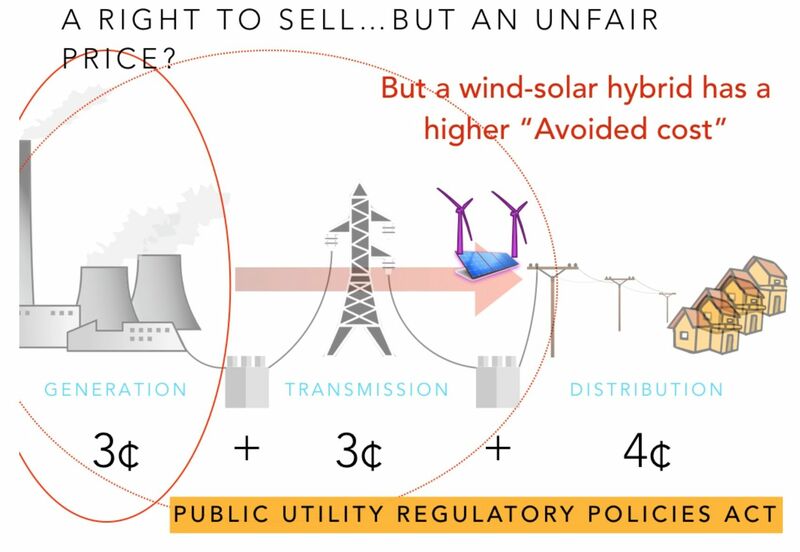 Particularly in regulated markets — like Idaho and North Carolina — the dominant investor-owned utilities make money for their shareholders by building power plants, paid for by captive customers. PURPA is one of the few tools state regulators have to ensure that monopoly incumbents provide the best deal for their state’s residents and businesses. Congress should certainly look for ways to ensure diversity among market participants and that PURPA isn’t an end-around for savvy developers who should be participating in competitive markets. But states already have the power to protect fairness in PURPA contract terms and avoided costs. There’s no reason to roll back competition when clean energy can provide utility customers a better deal. Read the article on Greentech Media.